We are proud to be the PR partner of the NatWest Great British Entrepreneur Awards. Whilst we couldn't get to all of the finalists celebrations events, we did attend the Cardiff, Birmingham and London events. We are excited to have a number of clients again this year shortlisted as finalists throughout the regions (Birmingham, Cardiff, Edinburgh, London, Manchester). They're all doing an amazing job 'disrupting' their industry sectors and we wish them all the best for their finals later this year. 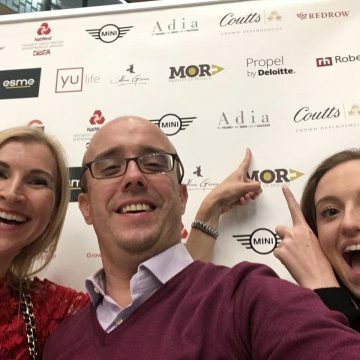 It never gets old seeing our logo next to Coutts and Mini - yes we're punching well above our weight - just like the best disruptors do!